For the 14th annual Fear No Film portion of the Utah Arts Festival, curator Topher Horman has crafted seven sequences of presentations in the most intriguing interpretations of the various sources and origins of transitions that drive the making of and response to each film. Each program is described below. This screening explores how personal change is often dangerous, scary and thrilling. A dynamic opener for this screening that capitalizes nicely upon the artistic intent of Fear No Film, Children of the River (Os meninos do rio) (14 mins., 2014, Portugal, Javier Macipe) is an outstanding coming-of-age short. In the Oporto neighborhood, children must accomplish a daring rite of passage by jumping from the imposing, tall bridge spanning the banks of the Duero River. A young man has never attempted the feat but he also is increasingly frustrated by his friends taunting him for his lack of courage. The film received best short film honors at the 2014 Huelva Latin American Film Festival. A different type of daring challenge arises in Last Base (15 mins., Norway, 2015, Aslak Danbolt). Joachim will do one last jump before retiring so he can start a family and he sets out with his best friend to climb Mt. Katthammeren but a fierce storm threatens to cut their adventure short. The friend is ready to quit but Joachim is determined to make his penultimate jump. The film, which premiered at Slamdance last year, has won several major honors: Black Maria Film and Video Festival, 2015 (Jury’s Citation Award for Best Short Film), Fort Lauderdale International Film Festival, 2016 (International Student Competition for College Short Narratives), Tallinn Black Nights Film Festival, 2015 (Sleepwalkers Jury Prize, International Student Film) and WorldFest Houston, 2016 (Gold Award for Dramatic Short Film). Music videos always make effective transition pieces in Fear No Film screenings and I Will by Pablo Nouvelle and Sam Wills (4 mins., Switzerland, 2016), the video features dynamic singing that conveys intensely colorful imagery. For this screening, audience members will see a world premiere with Jake (19 mins., Germany/New York, 2016, Ben Garchar),a film about Jake, a young American expatriate in Berlin who hopes that a forthcoming show will reverse his misfortunes as a stand-up comic. Several years ago, Garchar made his first appearance at Fear No Film, just having graduated from Wright State University’s motion picture program in Dayton. The film then was Run to Me Run from Me, also with the character of Jake who was a long-distance runner struggling with sexual identity and body dysmorphia. 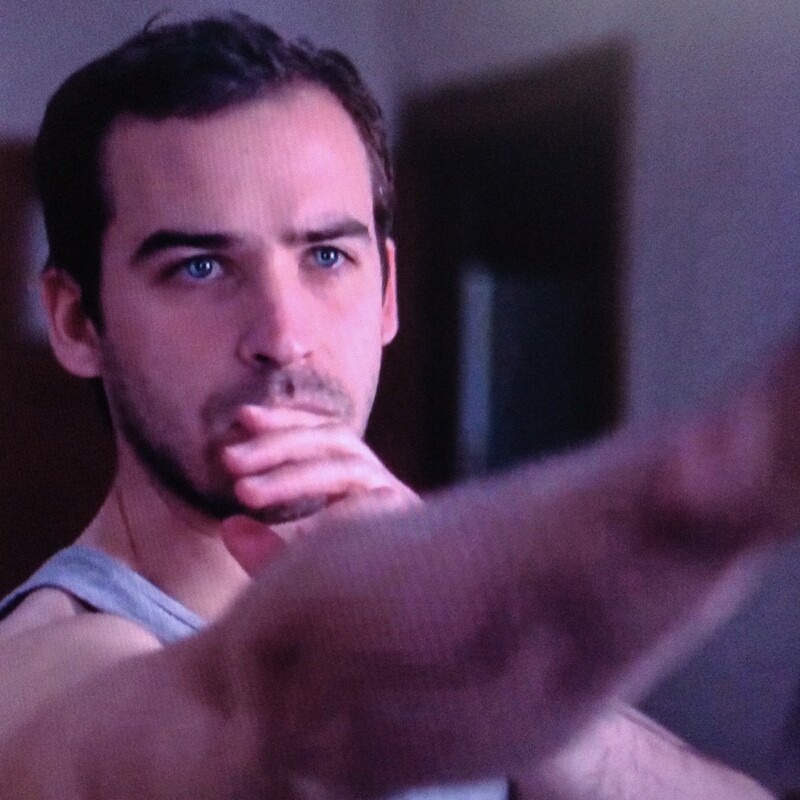 Kellen York played Jake in the first film and while both had gone their separate ways, Garchar, who now lives in the Ridgewood section of Queens in New York City, reconnected with York, who was planning to move to Berlin, and the two decided to make another film. Garchar also recruited Kodachrome to provide original music. Astute audience members also will notice that roughly one-fifth of this work includes sequences shot in 35-mm film. The Jake in the new film is loosely based on the first short Garchar did during his college years but the same emotional and psychological tensions are there – of a man who has not grown so much as much as he still struggles mightily with the idea of which persona to put out there. This is, indeed, one of the most emotionally complex, deeply penetrating narratives to deal with the aspects of the duality of character and persona – the private vs. public performer, so precisely encapsulated in Jake’s struggles as a stand-up comic in one of the world’s most cosmopolitan cities. Rounding out the screening are three very short films. Several VideoWest entries, courtesy of the KUER-FM initiative, were selected for the festival, and Come Closer (5 mins., Utah, 2015) is a small reflection from Utah writer Jeff Metcalf, who goes fishing in the mountain river as a healing measure for his battle against prostate cancer. 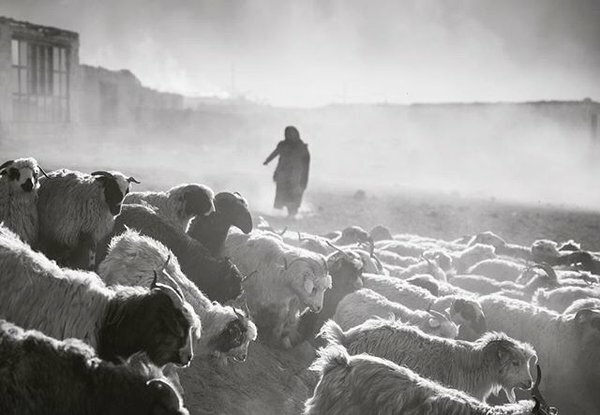 Dust to Dust (2 mins., Tennessee, The Edwards Brothers) is an interpretation of the line: “Dust thou art, and unto dust shalt thou return.” Hourglass (5 mins., Oregon, Samuel Neff) is a solemn yet calm piece as an elderly woman makes the transition to death, as the moments of her life flash by in her mind. These stories identify transitions occurring between friends, family and the strangers surrounding us. If anyone needs further confirmation of the international respect that Fear No Film has engendered in the independent short film community, take as example the Oscar-nominated We Can’t Live Without Cosmos (Mi ne mozhem zhit bez kosmosa) (15 mins., Russia, 2015, Konstantin Bronzit). This will be questionably one of the audience favorites, a spectacular story that just happens to be rendered in some basic animation techniques. 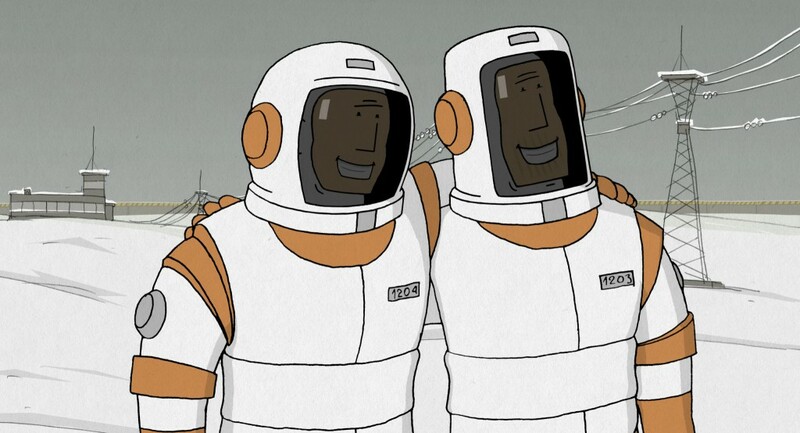 Bronzit, whose Lavatory Lovestory short also was nominated for an Academy Award in 2009, crafts for his latest film a story of two cosmonauts who have been friends since their childhood years and are hoping to fully realize their dreams of going into space. The film is endearing yet subtly bittersweet and it is a strong example of how a filmmaker makes wise choices to let story, not flashy graphics, carry the film. The film already has received numerous international awards including Aspen Shortsfest, 2015 (Special Jury Award), China International New Media Short Film Festival, 2015 (KingBonn Award), Melbourne International Film Festival, 2015 (Best Animation Short Film), Rhode Island International Film Festival, 2015 (Grand Prize), RiverRun International Film Festival, 2016 (Honorable Mention), Russian Guild of Film Critics, 2016 (White Elephant), Sedicicorto International Film Festival, 2015 (Animalab Award) and Tokyo Anime Award 2015 (Grand Prize, Short Film Competition and Tokyo Metropolitan Governor Prize). Becomes Sore (Tadareru) (17 mins., Japan, 2014, Keishi Suenaga). A married couple invites the wife’s sister for a visit and before long, the tensions of their sibling relationship manifest themselves in sharp ways. Filmed in black and white, the short was produced on a budget of just $5,000. There are many instances when two close friends try to deepen their bonds by some sort of a ritualistic appreciation for pop culture. After all, it can be pleasant for two friends to share their passion for a favorite music star, celebrity or television show. In A Letter to Bob (7 mins., Oregon, 2016, Rollyn Stafford), two friends who are avid Bob Dylan fans decide to write a fan letter the legendary musician. The innocuous ritual opens the door to the two wondering just how rooted their friendship is – or isn’t. Another fine example of animation art comes in Deadly is the Woman (3 mins., Utah, Kaitlin Mansfield), a film created using paper cutouts and rear lighting for unique effect. A strong comedy that has been popular on the LGBTQ film festival circuit, Dinner at 40 (18 mins., New York, 2014, directed by Carl Byrd and written by Peter Macklin) is somewhat autobiographical, drawn a bit from the experiences of Byrd’s own birthday dinner (incidentally, for his 41st). If the idea of turning 30 often terrifies gay men, in particular, then the approaching milestone of 40 amplifies that to an exponential power. He is celebrating his birthday with a low-key restaurant dinner with his closest friends which gradually becomes more chaotic as unexpected guests including some quirky acquaintances, a dashing ex-boyfriend and a drag queen enter the picture. The film took honors for audience award and best short film featuring male characters at the 2014 FilmOut Festival in San Diego. The closing film in the screening is The Lift (El Ascensor) (6 mins., Spain, 2016, Javier Polo), where the elevator is the ideal setting to sort out and solve the ongoing issues of the building tenants who use it every day. The film received its premiere at the Miami International Film Festival. In the 21st century, rigidity leaves us behind. These films examine the trickiness, limits and dangers of change. Opening this screening is a film that a cinematic purist might sniff at but audiences enjoy immensely: Any Day Now (20 mins., Spain, 2014, Albert Uria). A young man, undoubtedly an immature slacker susceptible to his own self-absorbing needs, is determined to set things straight after his girlfriend breaks up with him because he is unsympathetic to her own serious medical condition. In the meantime, she takes up with a new man, who apparently has come close to death twice after being struck by lightning. With uncharacteristic determination, the jilted young man buys a coffin which he places in the living room of the cramped apartment he shares with his mother and embarks upon a new purpose filled with all sorts of unexpected epiphanies. The film has garnered four awards: Festival of Aguilar de Campoo, 2015 (Audience Award for Best Short Film within the National Panorama, Young Jury Award (National Panorama), and Special Jury Mention), and XI Festival de la Imatge de Calella, 2016 (Ales Award for Best Direction). One of two Spy Hop Productions’ PitchNic films in this year’s Fear No Film slate, By the Hour (11 mins., Utah, 2015, Sophie Turok, Isa Card and Thomas Garbett) is another excellent example of the results from one of the nation’s leading programs in youth media and creative development. A smart, entertaining, visually satisfying short documentary in all respects, the students captured the efforts of Joe Dean, a software company product manager who exchanged a chubby frame and sedentary lifestyle for the physically grueling thrills of ultra-running. The film chronicles Dean’s first 100 mile run, which occurred in 2015 at the Antelope Island Buffalo 100. It is filled with humor and optimism while also taking note of Dean’s nervousness mixed in with the anticipation of taking on this benchmark of incredible endurance. He finishes the event in about 25 ½ hours – and the filmmakers handle nicely the challenge of documenting the mood swings and the numerous challenges (both emotional and physical) that crop up along the way. The screening includes several fast-paced short films. Thumbscrews (5 mins., Canada, 2015, directed by Ghost and written by Kanyanta Alexandre) is a film with all sorts of enigma involved about the illusions of torture and the effects of dreams. Another film by the mysterious director Ghost, just to offer context, is Doomed Sickness. A fascinating piece of animated video art, Positioning (4 mins., Illinois, 2016, Anne Beal) encompasses a book of daily self-portraits from the filmmaker. This year’s festival features two top Image Nation award winners from last year’s Arab Film Studio documentary competition. One is Omnia (discussed below) and this screening features The Absentees (10 mins., Dubai, 2015, Tanya Daud). The story of Rohingyas is one that characterizes those of countless immigrants who hope to achieve their dreams of a life-sustaining economic livelihood in Dubai and other Gulf Region emirates. 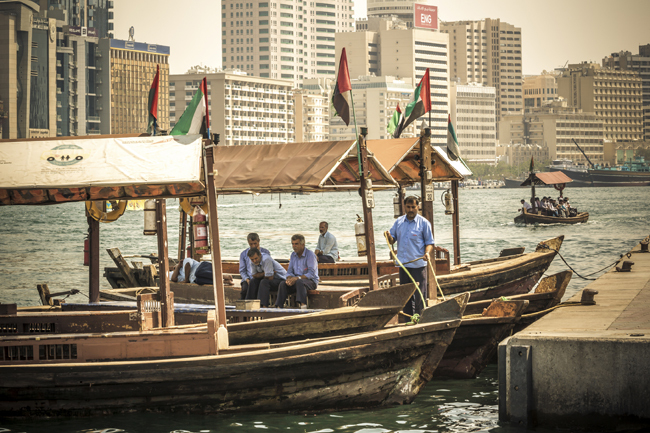 They face endless discrimination, encumbered by a sponsorship system that makes it difficult for them to return to their homeland or to bring their families to the emirate. The screening closes with two films, one a video art piece Feeling Real (3 mins., France, 2016, Jeremy Josselin) which premiered earlier this year at the Paris Short Film Festival. Rounding out the screening is an outstanding and tremendously clever film Time Thieves (Ladrones De Tiempo) (8 mins., Spain, Fran X. Rodríguez). Carlos lives rigorously according to the idea that time always is money, as he is a successful entrepreneur. Then, one day, everyone collaborates to “steal” time from his work so that he can reconnect with his son. The film has gained numerous awards including best short fiction film at the Festival de Cans in Galicia, Spain and several honors at the Southern Arizona Independent Film Festival. The screening opens with The Black Bear (L’ours noir) (15 mins., Belgium, 2015, DiMéryl Fortunat-Rossi, Xavier Seron). Utah hikers and adventure seekers will laugh at this uproariously funny and blunt short about the dangers of thinking how adorable a bear might seem until he mercilessly mauls the humans. Meanwhile, a narrator soberly instructs the campers about the rules involved with encountering bears in the woods and the ways to prevent attacks. Audience members will love the bear, whose appearance amplifies the absurdity of it brilliantly. The film already has picked up three honors this year: Magritte Awards, Belgium, Best Short Film and Nevermore Film Festival (Audience Award, Best International Short). This Modern Man Is Beat (17 min, Florida, 2015, Director: Alex Merkin, Writers: David J Schroeder, Fawzy Zablah (short story) is an elegant piece about an immigrant who has made some poor decisions in surroundings in which he is still trying to assimilate. A visit to a pawn shop opens the path to reconciliation with his wife. The film has picked up a pair of notable honors: Indie Fest USA International Film Festival (2015, Award Of Merit Actress: Supporting Sheena Colette) and this year’s SENE Film, Music and Art Festival (Film Jury Award for Best Short Film). Omnia (8 mins, United Arab Emirates, 2015, Amena Al Nowais) is going to be a major contender for the festival’s grand jury prize. A bold documentary film that explores the taboo topic of female circumcision in the Middle East, Nowais tells the story of a young Egyptian woman (Omnia Ibrahim, 32) who still has yet to come to terms with her childhood circumcision. Nowais’ film took best documentary honors in Image Nation’s first short documentary competition coordinated with the Arab Film Studio Documentary competition. Ibrahim, who today works as a receptionist in Abu Dhabi, courageously steps forward to tell her story. Ibrahim sought counseling to cope with the illegal act to which her parents consented when she was 11. This year’s Fear No Film has among the smallest numbers of documentaries in years but Omnia is a rare exemplar of telling a compelling unforgettable story in as concise a frame as possible. Two artistic pieces follow in the screening. Life (7 mins., New York, 2016, Dylan Perlot) is an artistic piece featuring four beautiful people (two men and two women), each in faraway places of nature – a brief commentary about the always fervent desire for human companionship. The Undertaker’s Wife by From the Bassment (3 mins., Texas, 2015, Justin Malone) is a quirky music video about a career-focused mortician who relishes every opportunity of life, even when he sees his wife’s corpse. Some film directors can elicit more emotional impact in a film that runs less than one-tenth of the time of a typical feature-length story. Such is the case with The Sea Was Calm (La mar estaba serena) (8 mins., Uruguay, Pablo Schulkin). Set 37 years ago in Montevideo, the film revolves around a five-year-old boy (Alejandro) who lives with his aunt Mariana. Together, they listen to and record audio tapes for his parents, who are currently living abroad. They soon discover a secret about their circumstances. The film has received honors at the SAIFF Southern Arizona Independent Film Festival as well as in North Carolina. The screening closes with Kessi Blue (8 mins., California, 2016, Jasmin Marsters), a film about a woman who finally breaks through the barriers of her own self-denial. The film has won two honors so far: Pasadena International Film Festival, 2016 (Best Drama) and Women’s Independent Film Festival, 2016 (Best Editing in Shorts). From the abstract to the elegantly simple, these films demonstrate how the world is changing. The first entry from Bulgaria ever in Fear No Film, Getting Fat in a Healthy Way (22 mins, Bulgaria, 2015, Kevork Aslanyan, Georgi Merdzhanov) is set in the bleak, drab surroundings left from the old Soviet bloc regime where Constantine and his father live. Something catastrophic has happened to the planet’s gravity and anyone weighing less than 260-some pounds floats directly into space. Given that Constantine barely weighs 130 pounds, he is resigned to be imprisoned indoors – at least until a full-figured female airline steward moves into the building. The film has garnered three prominent awards: FEC Festival (European Short Film Festival, 2016) (Bigas Luna Award for Best Story); Huesca Film Festival, 2015 (Youth Jury Award), and the Sedicicorto International Film Festival, 2015 (Euroshort Award for Best Film). A sharp cinematic commentary about the blurring of lines involved with virtual reality and the real consequences of it, Uncanny Valley (8 mins, Argentina, 2015, Federico Heller) offers a glimpse into the future where the compulsion of First Person Shooters is too difficult to resist for some, especially those who are economically disadvantaged and are disillusioned by the fact that their lives and works serve no meaning. The film has attracted a good deal attention from Hollywood producers who see the potential of turning this short into a feature-length film, complete with the effects of virtual reality entertainment and gaming. The title is based on a term developed by Masahiro Mori, a veteran Japanese scientist who has spent his career examining the ethical and moral implications of robotics, especially in the ways of how humans respond to non-human entities such as robots. The film won honors as best science fiction short film and best special effects from this year’s Freedom Shorts Festival. Heller’s film was produced 3DAR, one of South America’s most widely respective creative enterprises in visual art which is based on Argentina. Coming-of-age films always are a solid prospect at Fear No Film, and ÁRTÚN (21 mins., Iceland, 2014, Guðmundur Arnar Guðmundsson) is worthy in every respect. Three teenagers head to the urban center in the hopes of meeting girls and kissing them. The day’s events turn out to even more significant. The film has garnered two honors: Chicago International Film Festival, 2014 (Best Narrative Short Film) and RiverRun International Film Festival, 2015 (Honorable Mention, Narrative Short). A great music video about race relations, Hypertension 2.0 (5 mins., Massachusetts, 2015) is the project of Fran-P, a Boston musician who also has collaborated with REKS, Moe Pope, Avenue, Latrell James and Rain on an album released last year. Citius, Altius, Fortius (3 mins., Germany, 2014, Felix Deimann) is a captivating animation piece of abstract line drawings capturing the movements of Olympic athletes. The director digitized movements into a 3-D platform, using motion tracking and rotoscoping from original footage of Olympic competitions. He recreated the movements frame by frame in a mesmerizing piece accompanied by original music composed by Kreng. 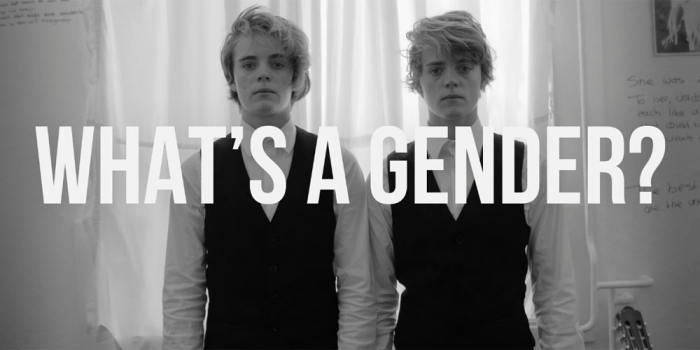 A very timely piece, What’s a Gender? (9 mins., Netherlands, 2015, Sophie Dros), explores the identity question in a film made for the media platform Mindshakes. The subjects are Lisa and Anne Bosveld, two androgynous Dutch twin sisters who articulate very maturely their ideas about expressing gender and discarding once and for all the binary notions of identity surrounding this. The closing film for this screening will enchant many Utah Arts Festival visitors who are familiar with Ardean Watts, a long-time musician and educator who has been among the active members of the artistic and creative communities in the area. Unruly Things (5 mins., Utah, 2015, Josh Weathers) is one of a series of short films that have been produced by VideoWest, a project of KUER-FM public radio at the University of Utah. The film follows Watts, whose passions include foraging for wild mushrooms. This screening showcases stories along the border between creativity to disillusion. 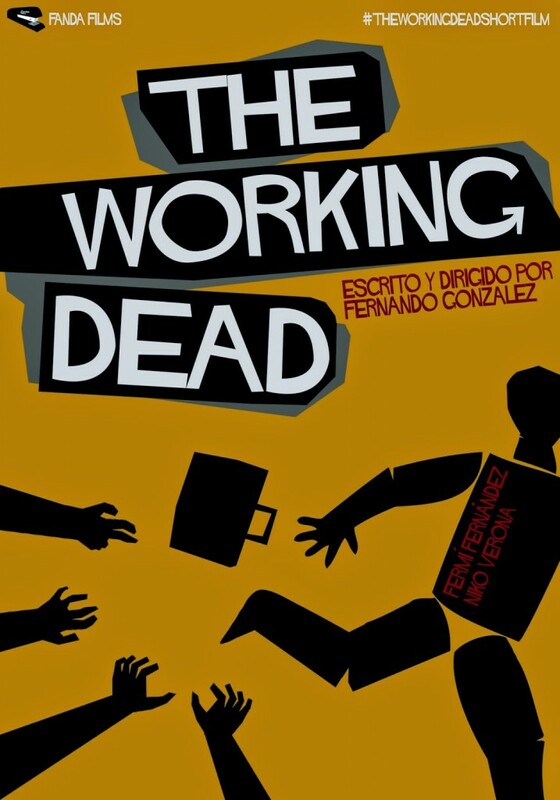 A great comedy to open this screening, The Working Dead (8 mins., Spain, 2014, Fernando Gónzález Gómez) pays humorous homage to The Walking Dead series in the U.S. In this film every time the office workers hear the footsteps of their boss approaching, they play dead, because they know how he will react if he hears any bad news. The film not only recalls the zombie series but also rather curiously the hugely entertaining Martin Scorsese film The Wolf of Wall Street. Although it is slowly paced, Hanna (15 mins., New York, Hai-Tao Wu) is a substantive story about a young woman who finds an old music box on her 18th birthday. The object includes a photo of her as a child with her father, who abandoned the family a long time ago. Hanna decides that she wants to find her estranged father. Think of Barbie dolls coming to life in Generation Girl (9 mins., Australia, 2015, Anna Blum, director; Fiona Gillman, writer), a story about two female friends who end up battling over a mutual interest of romantic attraction. The hook is that these characters are being played out in fantasy by a young girl with her dolls. While the film’s production values are less than noteworthy, the film’s thematic takeaway nevertheless is a substantial social commentary about consumerism and objectification and the ways they impact contemporary cultural perceptions. The idealistic world of two young women comes crashing down when they fight over a mutual love interest; The reveal that these characters exist only in the fantasy of a young girl playing with dolls in turn reveals the pervasive nature of the (often dark) obsession with beauty and material objects, that in contemporary culture reaches women and girls at a very young age. Anima Radix (3 mins., Australia, 2015, Fernando Silva De la Cruz) is an experimental video art piece of animation that is exceptionally vivid in its imagery which generates visceral and intuitive emotions from the audience’s eyes. One of the most exceptionally well-executed films this year in terms of cinematography, Void (17 mins., Denmark/Finland, 2014, Milad Alami, Aygul Bakanova) occurs entirely during a nighttime trip on the ferry from Copenhagen to Bornholm. A 50-something man starts chatting with a younger, handsome man and clearly the older Daniel is looking for something more than small talk in this trip. The film, which was shot completely on a ferry from midnight to early morning, was part of the Nordic Factory creative project, in which four Nordic directors were paired with directors from other countries to complete a film with a modest budget and within the span of less than one week. In return, they were guaranteed a screening at the Cannes film festival. Void also won the Golden Mikeldi award for best short film at the 2014 Bilbao International Festival of Documentary and Short Films. A clever bit of stop-motion animation, Jailbreak (2 mins., Oregon, 2015, Aaron Sorenson) has a bit of delicious irony as a prisoner escapes his jail cell and ends up – well, audiences will immediately get it (no spoilers allowed). The closing entry in this screening is Lila (9 mins., Argentina, Carlos Lascano) is a perfect send-off for Utah Arts Festival visitors who will reenter the exhibition grounds with poetic, colorful, exquisitely rendered images. Lila is an artistically inspired day-dreamer who realizes that her sketchbook is the gateway to improving even the most mundane surroundings. This program traverses the hatred of someone you don’t know, to personal healing and the everlasting strength of scars. 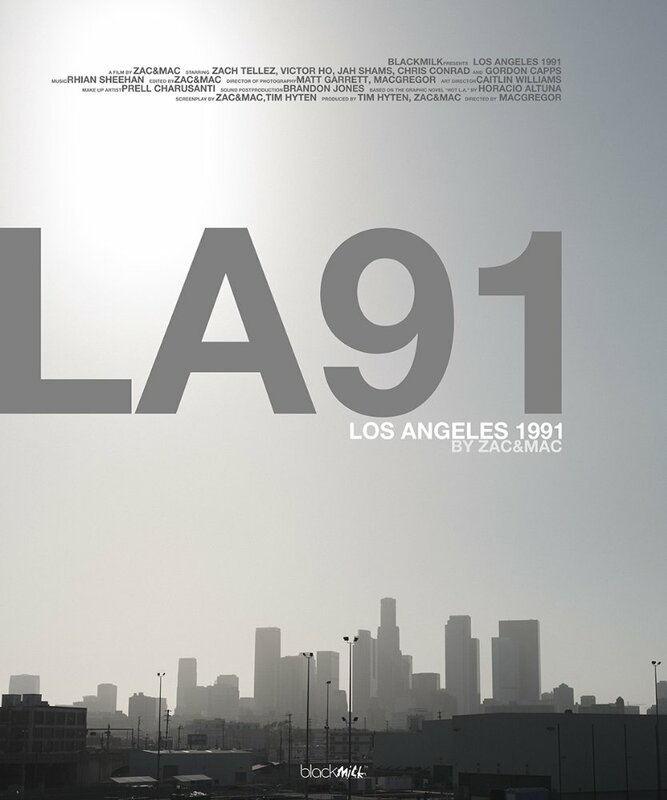 The screening opens with Los Angeles 1991 (10 mins, California, 2015, Miguel de Olaso (MacGregor) and Bruno Zacarías), a narrative that re-imagines the deep racial tensions among many Los Angeles communities just before the widespread civil unrest which broke out in 1992, after a trial jury acquitted four police officers who were charged with using excessive force in the arrest and beating of Rodney King. Twenty-five years later, the tensions are painfully familiar and, regrettably, almost too stubborn to eliminate. This year’s small selection of documentaries packs a huge punch of compelling, emotionally charged story-telling and My Enemy, My Brother (17 mins, Canada, 2015, Ann Shin) is a stunner that will surely move audiences. Two men, fighting on the opposite sides of the Iran-Iraq war during the 1980s, share a story that no fictional treatment could ever match. During battle, Zahed Haftlang of Iran finds Najah Aboud, an Iraqi soldier, seriously injured in a bunker and tends to his wounds. Aboud is taken as a prisoner of war and that is the last communication both men have each other. More than two decades later, they meet in coincidence on a Vancouver street and forge the bonds of friendship. The film took the Founder’s Prize for best documentary sort film at last year’s Traverse City Film Festival. Short films from Spain are always exemplars of compact story-telling. Araan (6 mins., Spain, 2015, Jorge Dayas) is a beautiful little piece of animation of a soldier’s story told from a child’s point of view. Dayas, who lives in Seville, has produced three pieces of animated work, including Threshold, a 2007 short that won a jury prize at the Annecy Film Festival. Unquestionably the shortest documentary treatment ever presented at Fear No Film, Granny Crochet (2 mins., Spain, Joaquin Villalonga Malpica) is a wonderful confection about an elderly woman who sees her own self being rejuvenated in creating incidental works of public art. Entries from the Middle East have gained an increasingly prominent profile in Fear No Film in recent years. And, Shadows (11 mins, United Arab Emirates, Mohamed Magdy) is a tightly told narrative about a woman painter who is a medium communicating messages from the dead to their loved ones. The Egyptian filmmaker leavens the story effectively with the medium’s own attempts to deliver a personal message to her deceased parents. An impressively complex drama told in a matter of just a few minutes, Birthday Boy (11 mins., California, Andrew Saunderson) starts out innocently enough. Michael’s mother and sister are shopping for his ninth birthday party and while they are at a grocery store, a young man steals their car who soon discovers a life with which he has never enjoyed. Great performances and outstanding cinematography will make this a solid audience favorite at the festival. The closing film for the screening is Quiet Mujo (11 mins, Switzerland, 2014, Ursula Meier). Set in Sarajevo, Mujo and his friends are playing soccer and he misses the penalty kick, as the ball sails over the goal and lands in a cemetery built to accommodate the dead after the brutal regional war. The boy, while searching for the ball, learns a deeper story about war and the instructive long-term lessons of its scars. The film took honors for best short film among Swiss entries at the 2014 Winterthur International Short Film Festival. KIDS! 3 and up — Every half hour in the Art Yard, Noon-8 p.m. The length of each film is perfect for the youngest festival visitors. The screening opens with This Time It’s Shopping, (4 mins., Maine, 2015, Chek Wingo) about an odd customer who visits a gift store. The film took the jury prize for shorts at the 2016 Providence Children’s Film Festival. For a side project to demonstrate how a film even with limited animation could be funny for a young audience, Kelly Loosli and several colleagues at the Brigham Young University Center for Animation Production made Elephant and Friends (2 mins., Utah, 2014), which played in Brazil’s traveling Anima Mundi festival, among others. The screening includes the equally charming Movies in Clay (3 mins., Canada, 2016, Dana Darie), which explores art in the Expressionist tradition, and the fantastically clever The Midnight Tourist (5 mins., Washington, Koray Kocaturk) about a little boy who takes a wondrous flight exploring Seattle’s best-known landmarks. The screening closes with outstanding examples of how to present serious topics in a perfectly enlightening way for youngest audiences. The cycle of life and death is sensitively explored through tree leaves and changing seasons in Farewell, My Short, But Brilliant Life (3 mins., New York, 2014, Paulina Shur). KIDS! 8 and up — Screened hourly in the Art Yard, Noon–8 p.m.
A gorgeous miniature travelogue, Eye of India, (3 mins., India, 2015, Benn Berkeley) opens this screening for older kids. The colors, food imagery, music and sounds make for an impressive case to leave immediately for the magic of the subcontinent. Skin (7 mins., United Arab Emirates, 2015, Farah Diab) explores the issues of insecurities in appearance with the main character -a young American teacher dealing with the skin condition of alopecia and how she feels when she reveals her real self a decade later. A well crafted story, The Pitch (22 mins,, California, 2013, Colin Sprigg) is about a 10-year-old girl, who is the pitcher ready to lead her baseball team into a championship game. Meanwhile, she discovers that her father (who manages the team) is about to divorce and leave the town. The film has won nine awards: FAME’US International Film Festival,2016 (Winner Silver Award Student Film), Accolade Global Film Competition, 2016 (Winner Awards of Merit for Lead / Supporting Actors, Cinematography, Film Score), The Los Angeles Movie Awards, 2016 (Winner, Best Student Film), The International Film Festival of Cinematic Arts, 2015 (Winner Excellence in Directing a Short Film), Action on Film, 2014 (Winner Best Young Female Performer in a Short Film), The Other Venice Film Festival, 2013 (Best Film Score). Bubble Yum (3 mins., Illinois, Cassie Grawe) is a stop-motion animation piece about a girl who steals a piece of Magic Bubble Yum and her journey through the air triggers significant consequences. Tiger (9 mins., Pennsylvania, 2015, Connie Chung) is an experimental film utilizing art projections, which follows the life stages of a girl who has witnessed her mother’s suicide. The film is maturely sensitive in how it speaks sincerely to a young audience. Horman says parents who already have viewed the film were impressed by the director’s attentiveness to her particular audience. Mirrors (7 mins., Israel, 2015, Yali Herbet) is an animation piece with no dialogue about a daughter and her father in the car on a seemingly endless road trip. The screening closes with Forget-me-not (Gleymérei) by Milkhouse (4 mins., Iceland, 2015, Stúdíó Sýrland and Stúdíó Hljómur), a perfect kid-friendly music video to end the program on a memorable note.